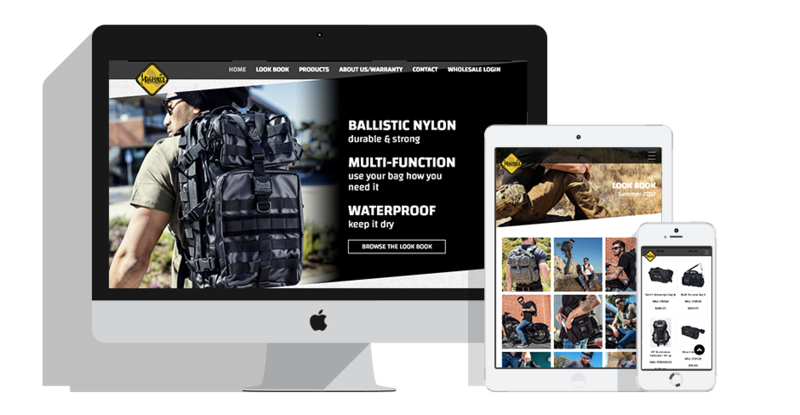 Magforce is an internationally successful company that specializes in tactical gear, including bags and accessories. They came to Ready Artwork to fine tune a strategy on how to break into the US market. So our team helped capture their branding and lifestyle through a newly designed website, video loop and photography. The client needed a new website that would display not only their products but also the lifestyle that they wanted to sell. The website needed to be appealing for American audiences. In order to achieve an appealing website, our team decided that we needed additional photos and videos to highlight the Magforce lifestyle. After shooting the video loop and taking lifestyle photos, our team had all the necessary components to start building the website. The video loop was placed on the homepage to showcase the products in real time. Both the photos and the video loop were included on the website to highlight the products and add depth to the brand. Upon loading the website, the logo also flashes on the screen. Other features also integrated into the website is a sticky header that follows you as you scroll, back to top button, wholesaler login and a lookbook gallery. The result is a clean and professional website that attracts customers to the lifestyle that is Magforce.